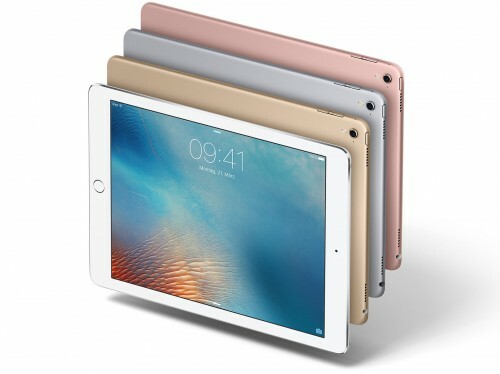 Apple has recently released iOS 9.3.2 with numerous bug fixes and a number of minor stability, security and performance enhancements to iPhone, iPad and iPod touch users worldwide. According to the release notes, the latest update fixes the problem that caused various sound quality issues with Bluetooth accessories connected to the iPhone SE. Apart from that, iOS 9.3.2 addresses the issue with dictionary, VoiceOver and typing email addresses in the Mail and Messages apps while using certain keyboards. How fast is iPhone 6 compared to other popular smartphones? PhoneBuff performed a serious of real tests. Each phone was raced through a series of apps including the camera, photos, web browser, Dictionary.com, Photoshop Touch, Google Earth, Temple Run 2, Fifa 14, Smash Hit, and Angry Birds. The series of apps was then opened for a second time to test the multi-tasking abilities of each device. 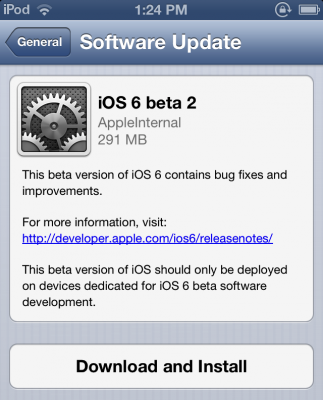 Apple recently released new iOS 6 beta 2 for developers. It is available as an OTA update or as a download here. Apple also updated Xcode 4.5 developer preview 2, Apple TV beta 2 as well. 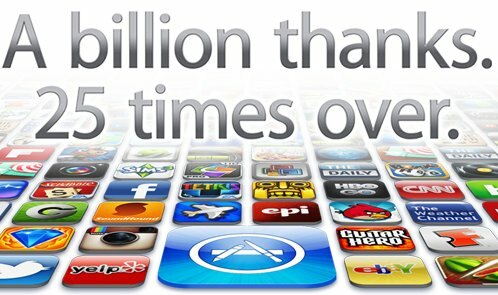 Apple’s iTunes AppStore has recently reached 25 Billion downloaded apps. Apple has an updated its all time most popular apps list for both iPhone and iPad. There are 4 categories - iPhone apps, iPad apps, Free and Paid. This list varies from country to country. For example, US AppStore number one apps are: Angry Birds, Facebook, Pages and Angry Birds HD Free, while in Russia - WhatsApp Messenger, Facebook, Angry Birds Seasons HD and Skype iPad. The Opera Mini Web Browser for iOS has been updated with support for uploading files, more than 9 speed dials, and more. Do you experience slow Internet browsing? Get the fastest, most cost-efficient web-browsing experience for your iOS device today. 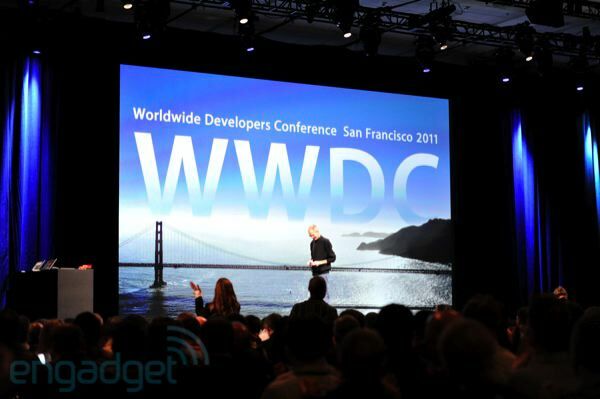 Apple yesterday, at WWDC, announced iOS 5 for the iPhone, iPod touch, and iPad. The new major changes include a completely revamped notifications system, over-the-air software updates and activation for new devices, and iTunes library syncing over Wi-Fi. The new Notification Center will aggregate all notifications that will appear at the top of the screen and will be less obtrusive overall. 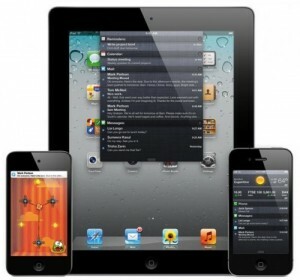 iOS 5 will be "PC free" , so a new device and iOS updates can be activated over the air. Tunes library can be also synchronized wirelessly via Wi-Fi. AirPlay Mirroring will also be possible to wirelessly mirror an iPad's display to a television connected to an AppleTV. Twitter will be integrated into iOS and Contacts can be updated automatically. 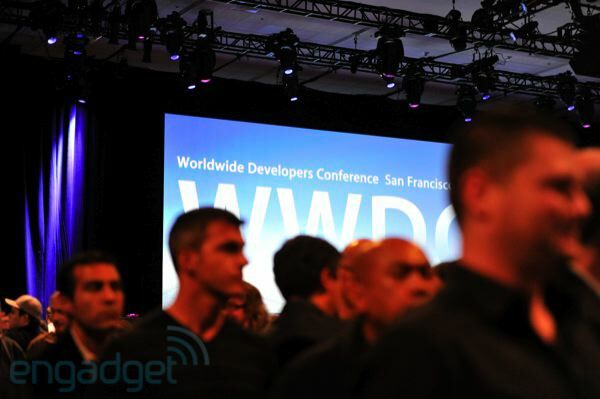 WWDC 2011 liveblog: iOS 5, OS X Lion, iCloud and more! Recently we posted some new information on the next Mac release, but the presentation of Steve Jobs also revealed some changes in the way how the scroll bars work. With implementing of full screen view for apps it was noticed that in most cases the scroll bar vanishes every time it is not being used. New page featuring iBooks for iPad has been rolled out on the Apple's official site. The app will be available as soon as the new device will be launched (the official date is April 3rd). Apple confirms iBooks will use the open ePub standard and the same version of FairPlay DRM that continues to be applied on video content distributed via iTunes. 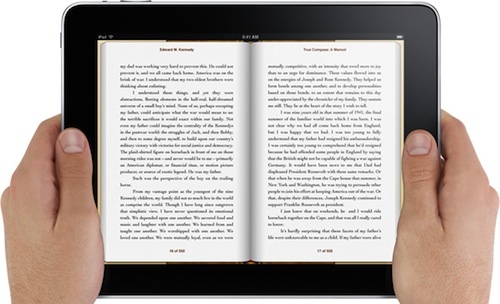 iBooks will allow users to switch portrait and landscape modes, change fonts and text sizes and even tap on words to see its definition from Wikipedia or built-in dictionary. 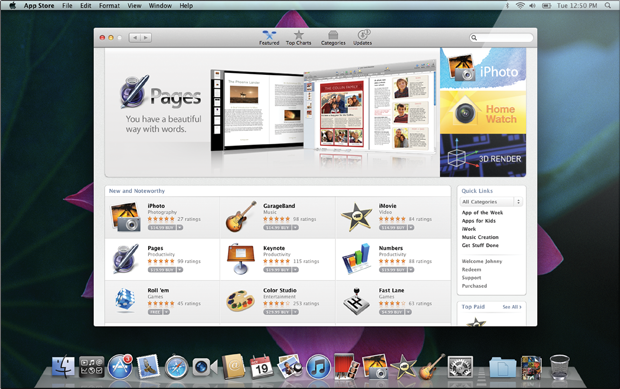 It is compatible with VoiceOver functionality that makes content to be read aloud automatically. For some time iBooks will be available only in USA, but as we know Apple already seeks for professionals to expand their book business internationally. Action Menu is a new utility that extends traditional Copy / Paste functionality. You can now "Copy All" or add text to a stack ("Favorites") that allows you to paste phrases frequently at any time and in any application. Tweet: send selected text through a Twitter client installed on your iPhone (currently support Tweetie, Twitterific, Twittelator and TwitterFon). 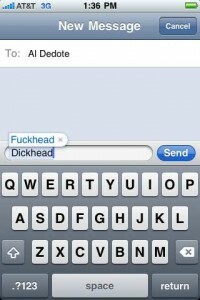 We found this utility quite useful. It can be installed via Cydia on a jailbreaked iPhone (iPod Touch). Once the network is detected the application tries to hack the WiFi password using a dictionary of possible keys.